Former Senator Al Coppola has been a longtime supporter of the Second Amendment and has held a pistol permit for decades. He has been pulled out of retirement by various factions of the Democratic Party. Perhaps no other issue this election cycle has as many New Yorkers outraged over the excesses of government overreach than Andrew Cuomo’s NYSAFE Act, which severely infringes on second amendment protections. Republican Mark Grisanti was instrumental to the law’s passage. The GOP controls the State Senate. Without his vote, it could not have happened, so it was no surprise that the 60th district has emerged as ground zero in New York’s battle over the Second Amendment. “I wish the same was true of Grisanti,” he says. Coppola’s supporters say that he is the kind of politician who can’t be bullied — because he knows what he thinks and isn’t willing to compromise age-old truths for the sake of short-term politics. His independence from party bosses has been his trademark since his days on the Common Council where he represented the Delaware District — and was reelected 8 times. In fact, Coppola has been a licensed pistol permit holder for longer than most 60th district voters have been alive. When I sat down to talk about gun laws with Coppola, he was deeply familiar with state and federal laws, and quick to offer his analysis. He even forwarded me some charts to explain his thinking. Coppola points to other states that have very lax gun laws, and says that we need to do more to prevent the interstate trafficking of guns by criminals. Cuomo has ignored the issue of illegal guns and gun trafficking. Coppola’s supporters think the reason for such an obvious and glaring policy void is because of politics. They say that Cuomo more concerned with the photo op, the stump speech, and his podium décor than he is in actually solving any problems. This seems to be the prevailing sentiment among second amendment activists as well. While Coppola supports the state’s ban on assault weapons, he is open to the idea of a waiting period of a week or so, and supports criminal background checks to ensure that violent felons aren’t able to get their hands on weapons — he wants New York State to pass a gun rights’ amendment to the state constitution. 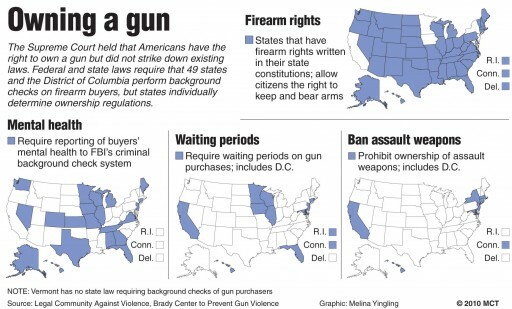 New York is one of only six states that doesn’t have a right to bear arms written into its constitution. Coppola also notes that — by anti-gun activists’ own admission — New York is considered the second most restrictive state in the union when it comes to gun control. California is the only state with more restrictive laws, based on a 2009 scorecard issued by the Brady campaign. Coppola, whose views on gun rights are well known, has been pulled out of retirement by various factions of the Democratic party. He faces Marc Panepinto, a little known sub-chair on the party’s organizational committee. Panepinto was convicted of a Class D felony in 2001 — the charge was Criminal Possession of a Forged Instrument. He reportedly falsified the signatures of registered Democrats in an effort to produce fraudulent nominating petitions for public office. He then attested to have witnessed the signatures. His license to practice law was quickly suspended. thanks for the coverage on this, unbelievable to BN doesn’t mention the SAFE act once in their lengthy article covering the races. I will be voting locally for the first time based on this issue. I’ll have to remember to check up on this site.